Who are the right-to-know audiences in evaluation? It is tempting to assume that common sense will prevail and those who clearly should be allowed to see evaluation findings will have reasonable access to them. 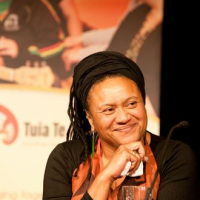 Not always so – as we heard from one of the interesting keynotes at the recent conference of the Aotearoa New Zealand Evaluation Association. Read the whole post –> Who are the right-to-know audiences in evaluation?